I’ve been anxiously awaiting the new season of Netflix’s underrated drama Bloodline ever since the premiere season last spring. While the show was a little slower and not as fast-paced as the other big Netflix drama House of Cards, I felt that what made Bloodline a solid television show was its fascinating characters, its equally terrific performances from all the cast members (Kyle Chandler as John Rayburn and Ben Medelsohn as his big brother Danny), the slow-burning but very effective long-form storytelling strategy, and the surprisingly perfect setting of the Florida Keys for Netflix’s dark-and-brooding family drama. It did take a few episodes for me to really get engrossed into this world but the payoff was definitely worth it, and the May 27th debut of the next season couldn’t come any quicker. While the new season doesn’t quite have the spark that made the first season so enjoyable, season two of Bloodline is still a welcome continuation of this very underrated series, and I look forward to what comes next for the show. I’m going to assume that the folks who are reading this have seen the first season. In that case, quit reading this and go watch the show. We pick up almost immediately after the events of the first season. John and his siblings (Norbert Leo Butz and Linda Cardellini reprising their roles as Kevin and Meg Rayburn) are still dealing with the events of the last season. Out of rage, John killed his tormented brother Danny, who had spent the first season making life a living hell for the Rayburn family. Danny’s son, that nobody in the family knew about, comes to town for reasons that nobody really knows. While John deals with this, new threats arise for the Rayburns. John continues to investigate Wayne Lowry (Glenn Morshower), a local businessmen in the Keys who runs a drug empire and who the cops believe might’ve had something to do with Danny’s murder. John Leguizamo comes into the picture as a sleazy character named Ozzy, who has a past with Danny and wants to take down the Rayburn family for what they did to Danny. And that’s just the abbreviated version of what goes on this season. While the show is still a little slow starting out but ramps up in the final episodes, there seems to be something going on in each and every episode that’s (mostly) interesting to watch. 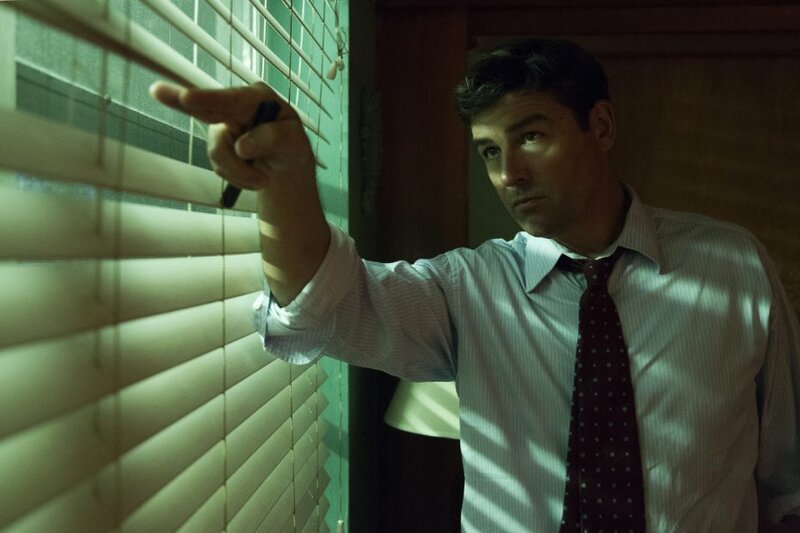 Kyle Chandler is easily the standout in this new season, for both similar and different reasons compared to his first season performance. Chandler still has that heart of gold mentality that he brought to his Coach Taylor character on Friday Night Lights, but John is a much darker and more conflicted character this go-around. He brutally killed his own brother last season, and not only does he have to suffer the consequences of those actions but has to scramble to make sure the cops don’t figure out he was the one that did so. Without spoiling anything, John goes to some very dark places throughout the season, and its really fascinating to watch a versatile actor like Chandler step out of his comfort zone to get this dark. If the show is renewed for another season, I can’t wait to see where John goes next, and how’ll his journey will continue. While its unfortunate that Mendelsohn doesn’t return as a regular player this season for obvious reasons (he appears in flashbacks and dream sequences scattered throughout the new season), the impressive cast is able to stand on its own. Cardellini continues to do some of her finest acting work yet as Meg, who also feels deeply conflicted and tormented by a crime that she didn’t commit but had a hand in covering up. The same can be said for Leo Butz as Kevin, who gives it his all in his performance. While I wasn’t crazy with how they handled the character throughout the season and toward the end, it was still a really well done performance by a very underrated actor. Sissy Spacek continues to do great late career work as the mother of the siblings, who feels just as guilty about Danny’s death as her siblings do, without even knowing that they were the ones who did it. She continues to bring a comforting motherly presence to the show, but with some baggage of her own that was discovered in the first season and continues to unravel throughout this new season. This is one fucked-up family, to put it lightly. The showrunners of the series, who created and ran the brilliant FX drama Damages, nix the non-linear storytelling device that they used in the first season of the show and used so brilliantly in the five seasons that Damages was on the air. We find out about catastrophic and jaw-dropping events during this season in real time. It works this time, and it helps make each episode more and more intriguing. As mentioned before, this new season ends with the audience member having boat-loads of questions once it ends, so I’m hoping Netflix will do the right thing and renew the show. Season three of Bloodline has the potential to be the most fascinating chapter of this show yet. And for that reason, I’m recommending Bloodline Season Two for the folks who watched season one. If you’re already knee-deep into the season like most people (I just finished it about a day ago), I hope this review helped you. For the few that haven’t seen the show yet, this is a must-see if you have a Netflix subscription. Its one of Netflix’s best original shows that they’re doing at the moment, and if you were a huge fan of Damages like I was you’ll really enjoy this one. This new season has its flaws, and some of the new storylines aren’t all that compelling, but its a solid summer television entry that will definitely leave you craving more for that inevitable Season Three, which will hopefully be out in Spring 2017.